Hotel for cyclists in Italy Hotel Beau Soleil in Cesenatico, cyclists hotel in Italy is the starting point for many great cycling excursions on the hills of Romagna where the “biking culture” has always been part of our traditions. The hotel has a safe bike storage equipped for repairing and cleaning. Upon request bike rentals are available. Cycling and the “NoveColli” race. Detailed maps are available in every language with many different itineraries of various lengths and levels of difficulty. We organize excursions with expert guides. 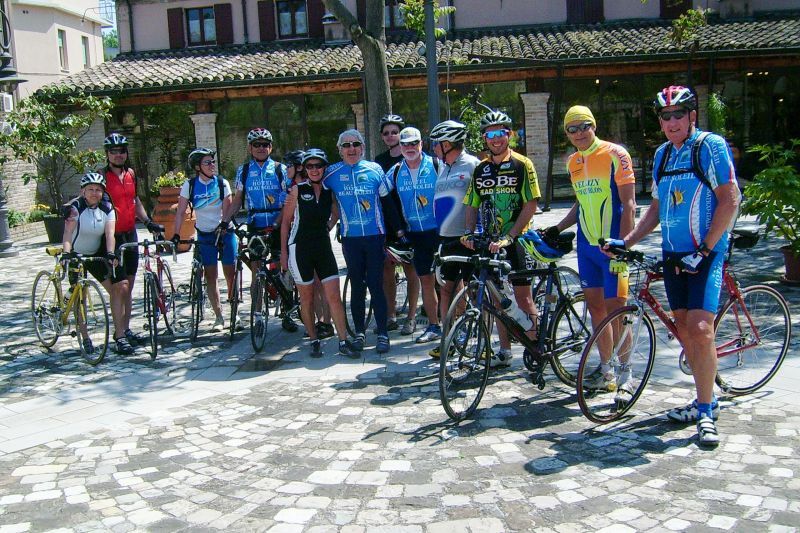 During the Nove Colli race at the end of May (the largest cycle amateurs rally in Europe along the wonderful Romagna hills with start and finish in Cesenatico,) the hotel offers a special service of refreshment and support along the track. Hotel Beau Soleil is ideal for those who want to combine a relaxing vacation with sports training.